Lilly, by four days old, she was constantly screaming, distressed, and hard to feed. She was going rigid and vomiting. She developed eczema and had intermittent blotchy red rashes. Her local paediatrican gave her an odd diagnosis of the “unsettled baby syndrome” – he said that there was nothing wrong, and that she was a “normal’ baby. Lilly’s mother was amazed and felt frustrated. At the Childrens Clinic, we made the diagnosis of gastric reflux from a cow’s milk allergy. We put this poor Lilly on a special dairy-free formula (Neocate). She is now “a different baby”. She is smiling, gaining weight, and her rashes have gone. “Unsettled baby syndrome” was a ridiculous diagnostic label. It means nothing and was of no comfort or use to her parents. Who needs a gluten test? “What a great video. This is so helpful and I will be going for a blood test shortly.” – says a grateful viewer. This YouTube has over 18,000 views – so happily it must be helping a lot of people understand who needs testing and what test to get. Gluten sensitivity and coeliac disease are such common problems, but often not tested for. At least 60 food additives used in our foods which are questionable in terms of safety, or at worse, known to be harmful. As a result of this research, these 6 colours are being removed from ALL foods in the UK. But they a still in many of the coloured food in New Zealand. For your children’s sake, please keep these harmful food additives out of their diet. Oats – can they be part of a gluten-free diet? There has been controversy for years as to whether it is okay, or not okay, to eat oats if you are gluten-sensitive. Clinical studies have now provided very good evidence that oats do not damage the gut mucosa in most people who have coeliac disease. Following this, guidelines from some Coeliac Societies now accept that moderate amounts of oats can be consumed by most coeliacs without risk. Many experts concerned with coeliac disease have now concluded that oats are safe for coeliacs, as long as they limit their consumption to amounts “found to be safe” in these research studies. This quantity is up to one-half cup of dry whole-grain rolled oats per day. Of course, any oats that are consumed need to be free of any contamination from other grains. A study in Finland looked at 52 coeliacs who were in remission and who had been on a gluten-free diet for more than a year. They all had a duodenal-biopsy, then they ate about 50 grams of oats (half a cup) per day over the next six months. Finally, they had a second biopsy. None of the people had any villus damage. Another group studied 40 newly diagnosed coeliacs in the same way. As expected, their initial biopsy showed significant villus damage (this was of course because they were still on a gluten-containing diet until they began the study). These people started on their gluten-free diet as well as eating their 50 grams of oats each day for 12 months. At the end of the year, their biopsies showed no damage to their villi. The meaning of this study was that their damaged villi were able to heal while eating oats. However, other studies have found that not all people with coeliac disease are able to tolerate oats. Especially, those who also have dermatitis herpetiformis. Researchers report that although oats are well tolerated by most coeliacs, they did find a few exceptions. Several people recounted initial abdominal discomfort and bloating. A few patients have been found to eventually develop total villous atrophy during an oat challenge. Yet another study has investigated 20 adult coeliacs who were in remission, to see if they could eat even larger amounts of oats in their daily gluten-free diet. They consumed about 100 grams (one cup) of uncontaminated rolled oats in their daily diet for over a year. They were tested four times during the study period. This included small bowel endoscopy and blood samples. They experienced no gut symptoms. Also, there were no adverse effects seen in small bowel histology or in their blood test results. The conclusion was that the vast majority of adults with coeliac disease could include large amounts of rolled oats in their diet without problems. Oats have also been studied in children. 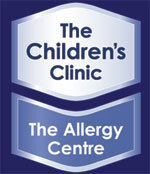 A group of ten children with coeliac disease were investigated at the time of their diagnosis. They were put on a gluten-free diet but they were also eating about 25 grams (quarter of a cup) of rolled oats each day. After six months they were tested again. There was improvement in both their small bowel histology and their tissue transglutaminase antibody results. However, there is still a word of caution. Oat proteins have been shown to trigger the immune response of cells taken from coeliac people. Therefore, the long-term effects of oat cereal added to a gluten-free diet in children still need to be determined. The ability to use oats in your diet gives an important source of fibre as well as other important nutrients. This is very important in children who have other food allergies. If you are also allergic to cow’s milk and eggs, then going gluten-free is a big task. Therefore, if oats can be tolerated, this makes food planning just a little bit easier. Each person will have to work out whether or not they can tolerate oats for themselves. This needs to be determined both clinically and with follow-up blood tests. Some food chemistry research studies suggest that avenin protein in oats does have toxic properties. The purity of oat products in some countries is suspect. Oats and oat products can inadvertently be contaminated with wheat. This can occur during harvesting, milling and processing. There is a possibility that gut damage from oats takes longer than six to twelve months to show up. Also, symptoms might not be readily apparent to the person. The possibility that young children might have a higher cross-sensitivity to oats because of their relatively immature immune system. These are real concerns. It is important that gluten-sensitive people know about the oats story. Whether or not they choose to eat oats, they should be under some sort of regular medical evaluation and supervision. However, the common opinion is that the long-time consumption of oats as part of the gluten-free diet is well tolerated among the vast majority of those with coeliac disease.